DOHA, Dec 4 2012 (IPS) - Qatar may be one of the richest countries in the world, but it has something in common with its African counterparts – food insecurity. This Middle-Eastern oil-producing nation imports 90 percent of its food because it is a dryland country. “Food is very expensive here,” an immigrant Ghanaian taxi driver who opted to remain anonymous told IPS. “Here, a litre of petrol is cheaper than water,” said the driver who spent the last week transporting the delegates at the 18th Conference of the Parties (COP 18) to the United Nations Framework Convention on Climate Change to their venue. While Qatar’s issues of food insecurity stem from its terrain, African countries are struggling with food insecurity because of poverty and erratic weather patterns that have dramatically reduced agricultural production over the years, Emmanuel Seck, programme manager at the Dakar-based Environment and Development Action in the Third World, told IPS. As African countries struggle to make use of their vast land resources to improve food production because of climate change, Qatar, like other Gulf States and emerging economies such as China, is leasing and buying land in Africa, said Seck. According to a 2012 report by the Oakland Institute, investors in the United States and Europe are the leaders in foreign land acquisition. But developing countries such as Swaziland are already aligning their policies towards producing and supplying food for Qatar, and the two monarchies have established diplomatic relations. “We have vast virgin land in our country and we can use it to produce food for Qatar to drive our economy,” head of Swaziland’s COP 18 technical mission, Mbuso Dlamini, told IPS. Swaziland, however, is not producing enough staple food for its citizens, importing most of it from neighbouring South Africa. Swaziland’s largest foreign exchange earner is sugar. According to the latest report from Worldwatch Institute, of the 70.2 million hectares of land leased or bought all over the world in the last decade, 34.3 percent is in Africa. Qatar and other Gulf States have acquired a combined 6.4 million hectares of land in developing countries. Bruce Campbell, programme director at the Consortium of International Agricultural Research Centres (CGIAR) Research Programme on Climate Change, Agriculture and Food Security (CCAFS), said that a balance needed to be struck in order to ensure that poor communities that are dependent on subsistence farming are not kicked off their land to make way for agricultural developments by foreign governments and multinational companies. “Countries need to put in place mechanisms that will ensure that the leasing of land does not disenfranchise communities,” Campbell told IPS. He said that leasing land might not necessarily be a bad idea as some people are moving away from subsistence farming to finding jobs. Campbell said that the guidelines on the Responsible Tenure of Land, Fisheries and Forests in the Context of Food Security spearheaded by the U.N. Food and Agriculture Organisation would help countries strike that balance. Tanzanian researcher from the University of Dar es Salaam Emma Limenga warned African governments against leasing out land for long periods. Normally, land lease agreements last for 99 years, which Limenga said could jeopardise the food security of future generations. She said that leasing land and justifying the practice by saying that it would create jobs was neither right nor wrong. She pointed out that while poor communities may have access to land, they might not be able to buy food because of unemployment. 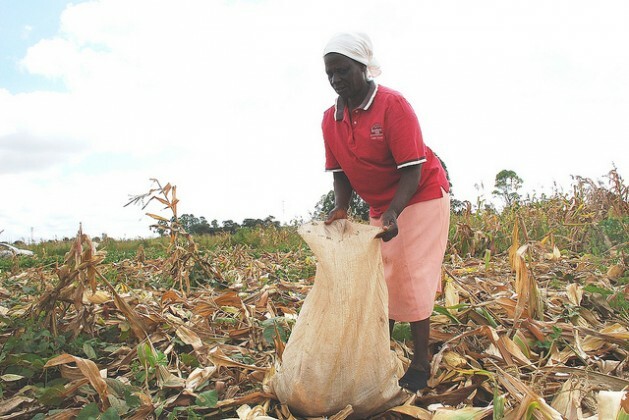 “Some communities are not even cultivating the land because of the erratic weather patterns … Access to jobs helps people to be able to buy food,” said Limenga. Burger Patrice, the executive director of the NGO Centre d’Actions et de Realisations Internationales, told IPS that Africa’s poverty should not be an excuse for “land grabbing”. Patrice explained that the rehabilitation of dryland was the solution to land grabbing and food insecurity. “It is in the interest of countries like Qatar to start producing their own food because at some point they will run out of oil and will not afford the high costs of importing this basic need,” said Patrice. He said that although land has experienced the greatest impact of climate change, the negotiations in the Qatari capital of Doha have overlooked that aspect. And he maintained that the U.N. Convention to Combat Desertification was a poor cousin in the U.N. system because land was not given the prominence it deserved.